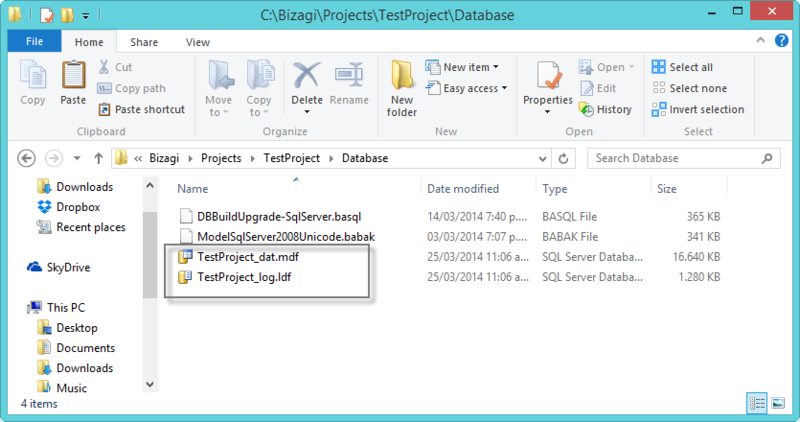 By default Bizagi projects are created in a path located as C:\BizAgi\...\Projects\. In this path, all information regarding the processes, the data model, forms, rules, performers and integration is stored and referenced. If you wish to change the default path of your project in the development environment (while in automation stages of the project), follow the next steps in which files are moved and references are updated to the new paths. As an example, we will use the process created in My First Process to illustrate how the path of a project is changed. The first step is to move the physical location of the project, but for this you will need to uninstall the Scheduler service which has an explicit reference to the original path. 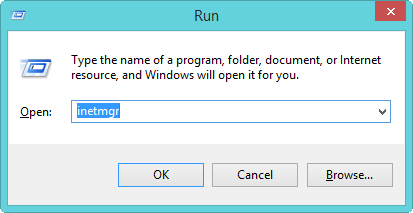 1.1 Run a command prompt with administrator privileges. 1.3 Copy the entire folder (retaining its inner structure) of your project (located at path %SystemDrive%\Bizagi\Projects\), and paste it into the new path. 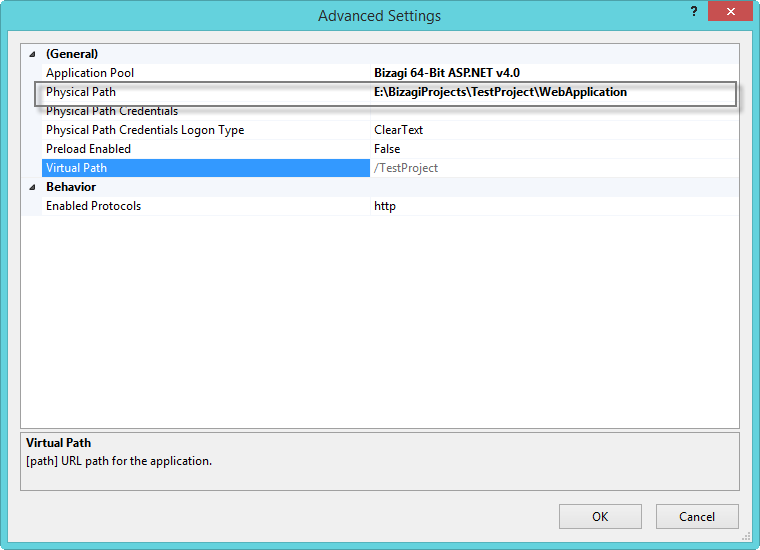 In our Example, this path will be at E:\BizagiProjects\, and it will be referred to as [NEW_PATH] from this point on. Remember you need to have Administrator Privileges in order to perform this action. 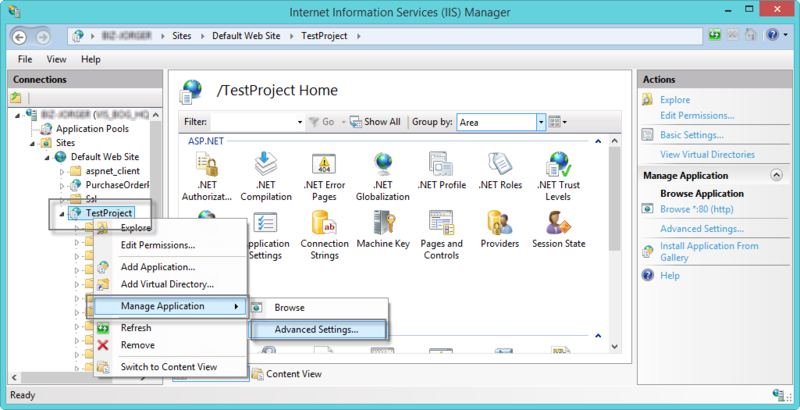 If you are using a local SQL Server instance, then your database files are stored in: .\Database\. You will need to temporarily stop your database services in order to move files in this folder. It is a best practice to create backups of your project as a contingency measure (in order to be able to roll back if the procedure fails). 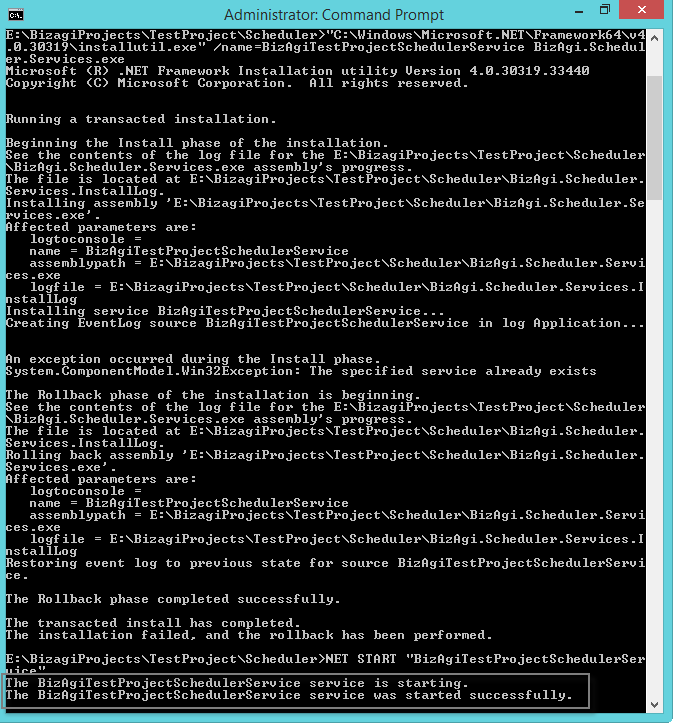 1.4 Once you have moved the entire folder, you may reinstall the Scheduler service. 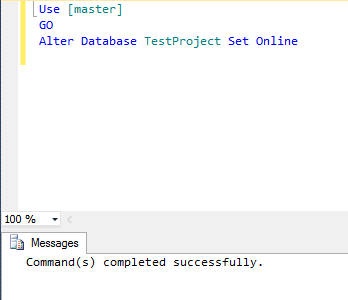 This step is only mandatory if you are using a Microsoft SQL Server Database and if the .\Database\ folder inside your project path contains the following database files: [YourProject_dat].mdf and [YourProject_log].ldf. If you are using Oracle or your database files are not located in this path, skip this step and proceed to Step 3. 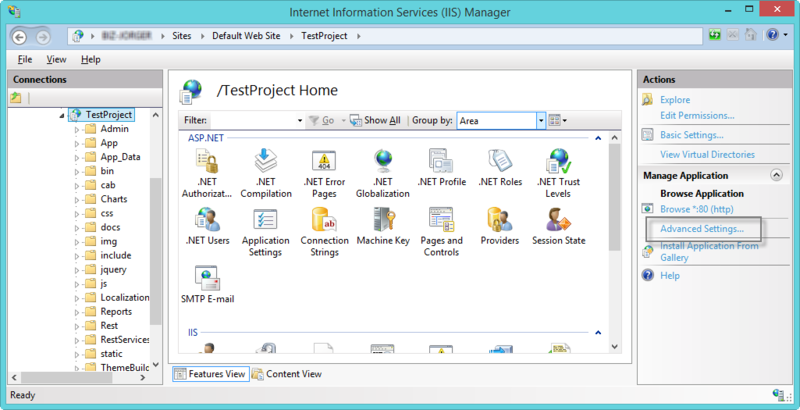 Reconfigure the Work portal by using the Internet Information Services Manager. 3.1 Expand the tree located in the left panel and locate your project's web site. 3.2 In the Advanced Settings dialog box, update the value of the Physical Path so that it references [NEW_PATH]\YourProject\WebApplication. 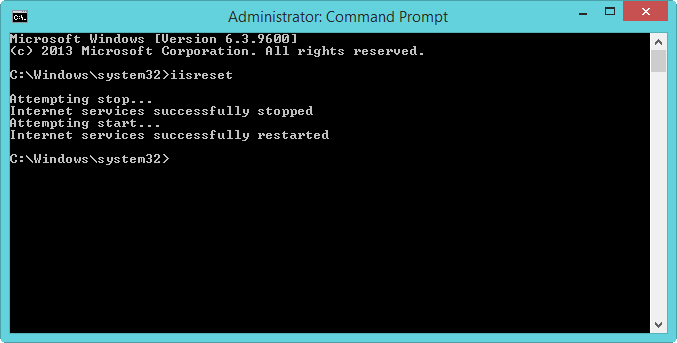 3.3 Restart your IIS services. 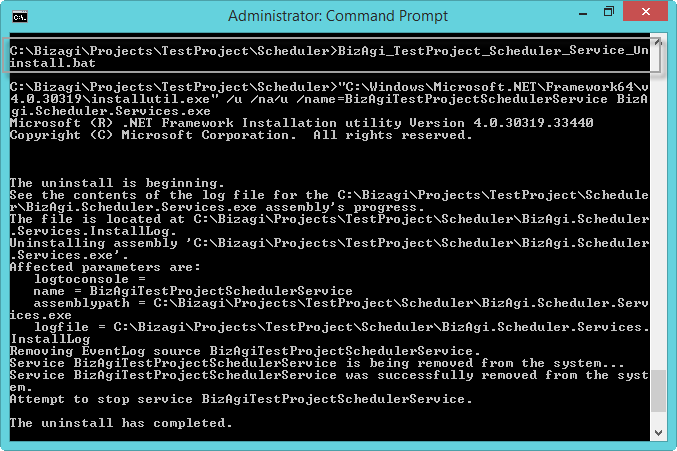 These steps apply as well to reconfigure the settings involved for Bizagi Management Console. 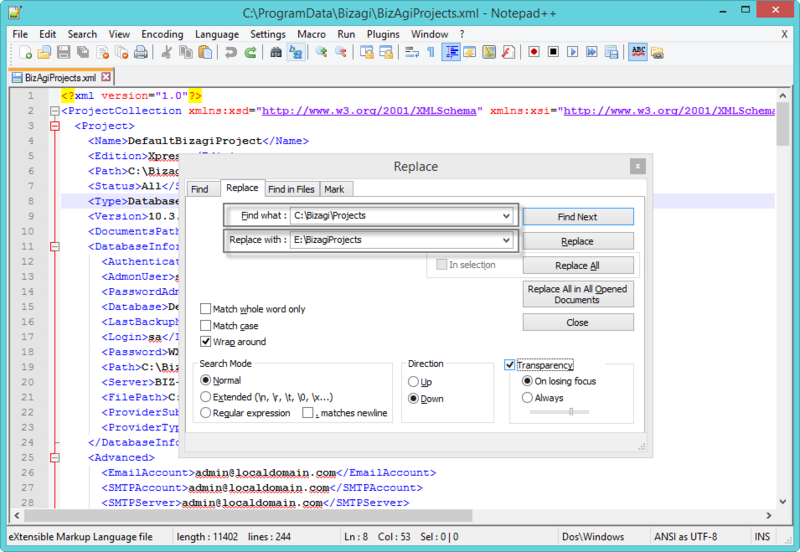 4.1 Update the projects configuration file located at %SystemDrive%\ProgramData\Bizagi\BizAgiProjects.xml. Note that the SystemDrive folder might be hidden (by default) in your operative system. 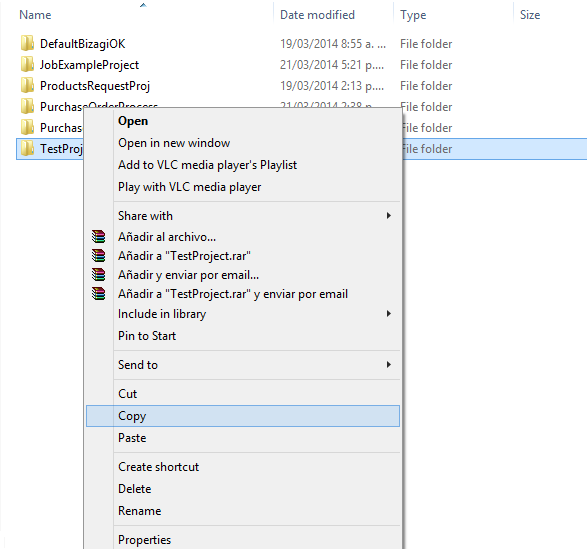 (To display it, make sure you enable the display hidden files option). Find and replace the old path (%SystemDrive%\Bizagi\Projects\) with the [NEW_PATH] of your project. 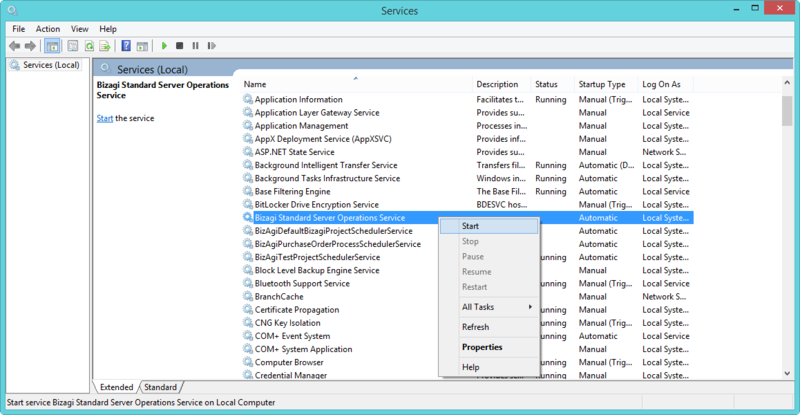 4.2 Finally, restart the service called Bizagi Server Operations service so that Bizagi Studio or the Management Console make the appropriate changes. •It is recommended always to test and verify that your project behaves as expected. Once you have moved the project, run checks for the Work portal, Scheduler service and other features such as the Component library, localization, or traces. •If you need to move your production server or the path used by the production environment project, refer to the system administration chapter for Automation Server.